ic_facebook_red ic_twitter_red ic_pinterest_red ic_instgram_red ic_youtube_red Created with Sketch. A hydroponic system has been trialing since October 2017 at Kasawari village as an initiative to reduce the threats to protected forests as well as benefiting local people. What is hydroponics? The word originally comes from the Greek “hydro” -meaning water and “ponos” – power. Another term used to describe hydroponics is soilless culture, or cultivation without soil. So, hydroponic means cultivating plants using water and without soil. Kasawari village in city region of Bitung directly borders onto KPHK Tangkoko – Duasudara Nature Reserve. Such an important village in the buffer zone of the last stronghold for Macaca nigra. This village has no access to fresh water. Local people use rain water and have to buy fresh water from the city for Rp.60.000 per 1.200lt. An explosion by nearby volcano Mount Batuangus has caused the ground in Kasawari to be sandy and dry, and its coastal location means there are very high temperatures. The hea and dryness of the area means that it is very difficult to plant . People are relying on a “pedagang sayur keliling” (trading vegetables by motorbike) to get fresh vegetables where the nearest market is located around 6-8km away in Winenet. This need is one of many considerations why Selamatkan Yaki chose to trial the hypdroponic system in Kasawari. A greenhouse was installed in early May 2018 followed by the training of key community representatives. 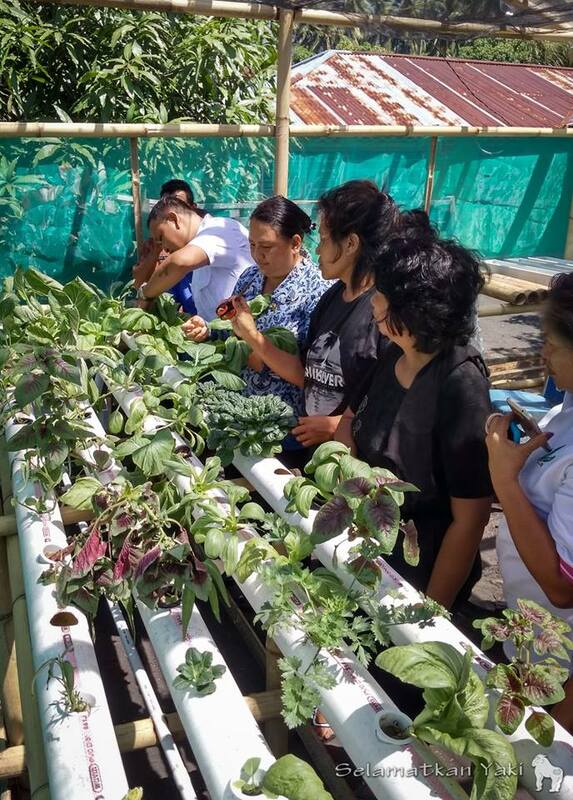 People were trained in a range of hydroponic techniques, and the first harvest in July 2018 collected more than five different types of vegetables. This trial project marks a promising beginning for forest protection and equivalent benefits to local communities. The hydroponics model can hopefully be developed and adopted well into this society and other areas facing similar challenges. 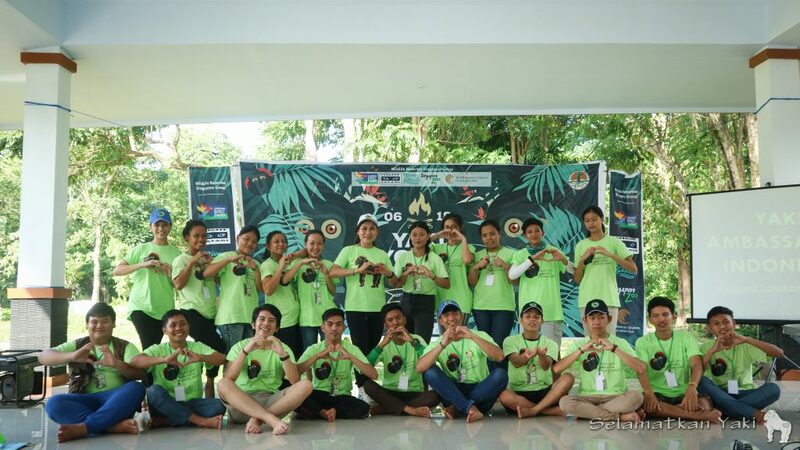 One of the activities of Selamatkan Yaki (SY) conservation programme is the Yaki Youth Camp (YYC), a capacity building activity to train and develop select local youths to become Yaki Ambassadors in North Sulawesi. Through SY’s Education & Awareness Raising Strategy (EARS) unit, we conduct this conservation training camp to facilitate the ambassadors with a deeper understanding about yaki and the various threats that they face, to expand their knowledge in conservation as well as develop their skills, leadership and confidence to better equip them in educating and raising public awareness. YYC was first conducted in 2014 at the Yayasan Institut Seni Budaya Sulawesi Utara in Tompaso, Minahasa with participants from our first campaign areas Tomohon-Langowan, followed by YYC 2015 with participants from our second campaign areas Bitung-Airmadidi, then YYC 2016 with participants from our third campaign area South Minahasa. Following these camps, the youth Yaki Ambassadors have helped us reach over 30.000 local students, teachers and other members of communities throughout all three campaign areas, through school talks, information stands and giving independent talks in their neighborhoods, extracurricular clubs and church gatherings, embodying their environmental identities by acting as an ambassador for M. nigra conservation in their own community. On June 25-28, 2018, we held the Yaki Youth Camp: Refresher Training 2018 at TWA Batuputih Camping Ground in Tangkoko for the most active and dedicated youth Yaki Ambassadors from all three campaign areas. This 4 day/3 night refresher training camp gave us the chance to re-engage with a total of 23 ambassadors, to continue to motivate and inspire them, revive their confidence as well as encourage creative thinking to develop youth-empowered conservation initiatives. The purpose of this refresher camp is to further mold these youth Yaki Ambassadors to become more confident in educating their peers and raising public awareness about yaki conservation, to help them further understand how to become a “role model” for environment-friendly behaviour, to brainstorm together about various conservation actions that are both creative and effective as well as to encourage them to continue actively support SY activities, considering the intensity of illegal hunting that still threatens yaki population and other protected wildlife in North Sulawesi. During this action-packed camp, participants were provided with various activities, games as well as inspirational and educational talks by speakers whom are experts in the field, such as Dr. John Tasirin from Sam Ratulangi University who talked about biodiversity in North Sulawesi and Dwiyandhi Febriyanti from Macaca Nigra Project (MNP) who took the participants to see yaki in their natural habitat while providing in-depth explanation about the species and the conservation efforts that MNP is doing. Billy Lolowang from Tasikoki Wildlife Rescue & Education Center helped the participants understand more about wildlife rescue and explained about Tasikoki’s role in it and Grace Nelwan, a long-time mentor for North Sulawesi’s network of tourism pageants, got on board to provide the Yaki Ambassadors with public speaking training and helped them find solutions for the various obstacles that they may encounter in the field. We also had the absolute pleasure of having Indonesian Yaki Ambassador Khouni Lomban Rawung share her experiences as Yaki Ambassador whom has gone above and beyond to support conservation efforts in North Sulawesi, further motivating her fellow ambassadors while also discussing conservation issues and how we can work together to mitigate them. Camp participants proved to be highly enthusiastic and involved all throughout camp, as can be seen through how they really got into the discussion and brainstorm sessions which would often become exciting. They also provided personal reflection and evaluation of their experiences, providing indicators of the impact of their involvement as representatives of conservation efforts on both their personal development and their involvement with local communities. They shared aspirations and hopes for the future of wildlife conservation and reached a consensus to keep supporting the conservation of protected wildlife, especially yaki. Following this refresher camp, we are confident to see more real conservation actions by the Yaki Ambassadors to help mitigate conservation issues in North Sulawesi, through community engagement and raising public awareness as well as promoting positive behaviour towards the environment. 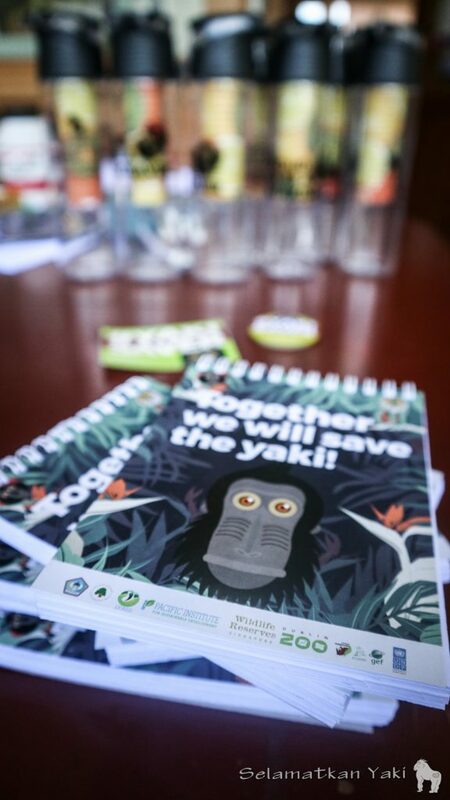 Together we will save the yaki! The first week of May is the coolest time of the year. Seven days every year are dedicated to celebrate the diversity of the world through the many species of macaque and to reach many more people to raise awareness about the threats they face. There are 23 macaques species around the world, Indonesia has 11 and 7 of them can be found on the island of Sulawesi including Macaca nigra (yaki). Sulawesi is very special to have such macaque diversity, yet sadly most of them are threatened with extinction. Selamatkan Yaki has been joining this amazing event since it was first initiated by our friends at Barbary Macaque Awareness and Conservation in 2016. This year we coordinated an amazing effort with partners and government with activities ranging from dancing with the heart-shaped bottom, to yaki rescue missions from island to island. The city of Bitung is such an important area for biodiversity of North Sulawesi where the amazing forest of Tangkoko is located, with exposure of conservation outreach especially about the yaki since our Yaki Pride Campaign entered this area in 2015. 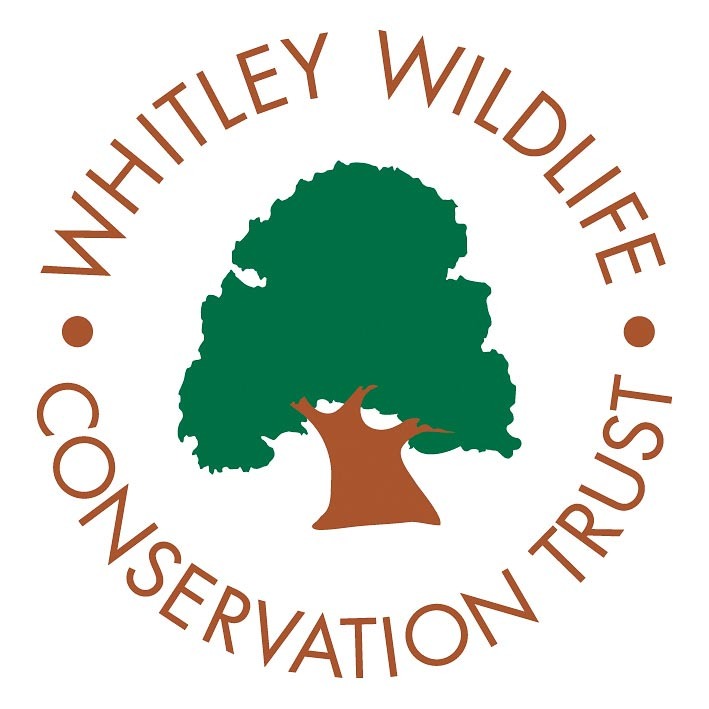 The great support from the local government proves the success of our strategy to support role models within the campaign area as an extended hand to carry forward conservation efforts. Mrs.Khouni and her husband the Mayor of Bitung were handing out questions about yaki conservation at Car Free Day event. 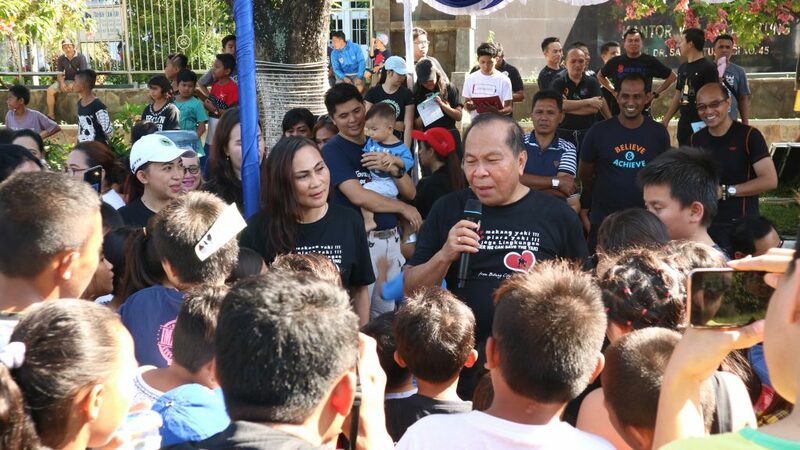 Alongside famous rock band SLANK and our youth ambassadors we have been blessed to be supported by Mrs Khouni Lomban Rawung, first lady of Bitung city as Yaki Ambassador Indonesia, adding another woman of power to the list of yaki savers. Her genuine passion about the environment, hard work and influence has been a boost to the goal to reach as many people as possible about how special the macaque is and the importance to save them from extinction. As Yaki Ambassador Indonesia, she promotes three key messages about the macaques, that they are: Endemic to North Sulawesi, Critically Endangered and Protected by Indonesian Law. Just before the celebration of International Macaque Week, a local farmer who was exposed to the conservation messages approached her and reported an illegal pet macaque in Lembeh Island and was happy to arrange a hand over. 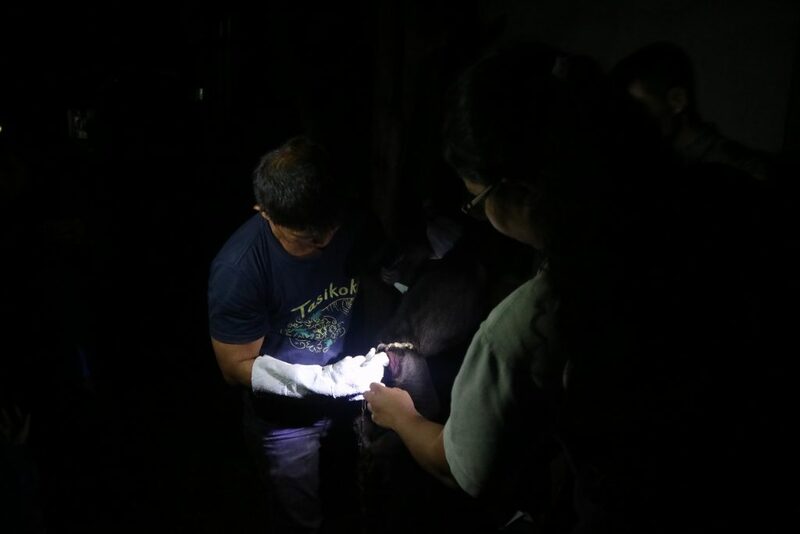 With great coordination between the government of Bitung, BKSDA North Sulawesi (Forestry) and our partners Tasikoki Wildlife Rescue Centre, Mrs Khouni managed to bring us all together on a rescue mission. Friday the 4th saw a boat full of conservationists – the yaki savers – excited to be crossing for the first time to Lembeh strait to pick up a juvenile male macaque that had been illegally kept as a pet. The sun shined perfectly on the surface of the sea, bringing hope for yaki conservation efforts. The journey by boat was followed by crossing the hilly lands of Lembeh island adding to the adventurous vibe of the day. The team arrived in the location surrounded by coconut trees, and right next to the road there was the little macaque chained to a tree. Mixed feelings were of sadness to see him taken from the wild but also positive hope that he is going to be healthier and happier in the rehabilitation centre. Mrs Khouni kindly led the day by showing appreciation to the illegal pet owner of the awareness and willing to hand over the macaque and the three essential yaki conservation messages were mentioned, part of educating the representatives of local people who were there. The rescue team of Tasikoki handled the macaque professionally, managed to unchain him from the tree and very careful moved him to the transport cage. An important message was also shared by Mr Yakub Ambugau, the new head of SKW 1 – BKSDA North Sulawesi that any hand over of wildlife will be proceed without law enforcement so local people do not have to be afraid of report and give up the illegal ownership of wildlife. Adding to these informative speeches, Mr Sadat Sabahari – head of Environmental Department of Bitung City showed support and willingness to collaborate for forest assessment and improvement to avoid the conflict between wildlife and local people. A heartwarming afternoon during sunset time crossing Lembeh strait back to the mainland of Bitung, on the boat the little macaque was seen checked around his surroundings. After a mission to get Nona down the tree in the dark, Tasikoki team unchained Nona. One down, four to go! It was certainly not the end of the day, and the team were to continue another hour drive to a village called Resettlement – Likupang for a very special long time call for a female yaki named Nona. Nona had appeared in National Geographic Magazine in March 2017 but had previously disappeared from the original reported location. Now she was finally taken in by the Tasikoki rescue team, after great coordination with award winning wildlife photographer Stefano Unterthiner for whom Nona was very close to his heart, with a striking portrait which for Stefano encapsulated the pet trade in one poignant image. The SY team ended the day by sharing an important message to remind people that it is more important to avoid taking wildlife from the wild for pets rather than eventually giving them up to the rehabilitation centre. We hope the message can spread to many people. High fives all around to celebrate such amazing collaboration! In addition to this, on Saturday three more individual macaques were rescued from Poopo village in South Minahasa, where friendly locals were looking after the macaques as their legs healed after they became trapped in snares set for forest pigs. Tasikoki coordinated with Harry and Yunita who were doing social fieldwork at the time to help the hand over of an adult male, adult female and her bouncy little juvenile. The owners were already well informed about the importance of not keeping wild animals as pets, but were very happy to learn more and also help our efforts to inform their neighbours of the importance of yaki conservation. Kids were doing Zumba with heart-shaped bottom with Zumba® Kids &Zumba® Kids Jr. Instructor Alexandra Rattu. 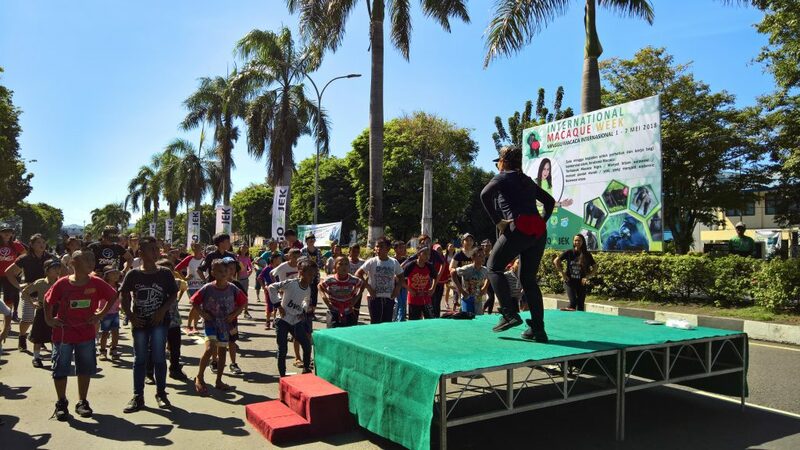 Finally, the week’s activities came to a climax with an amazing gathering on the Saturday in Bitung for a special yaki themed version of the regular car free day in the centre of the city. With dancing, education stalls, conservation speeches and various other activities, this was a positive and lively event full of hope. This and all the macaque day activities highlighted the wonderful collaboration here in North Sulawesi, and the amazing progress toward creating a culture of care for the unique wildlife here. Dublin Zoo has been a proud supporter of Selamatkan Yaki since 2010. The zoo has a large breeding troop of Sulawesi-crested macaques which are part of the European zoo breeding programme. The troop are a firm favourite with visitors and help to convey important conservation messages about this critically endangered species. 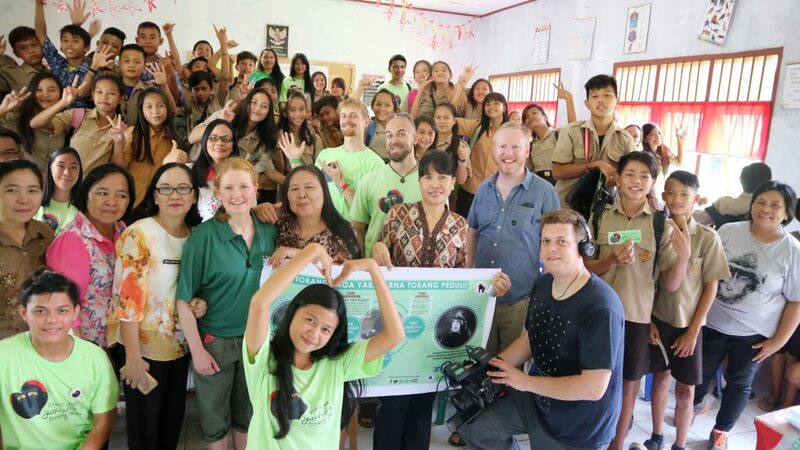 In May 2017, Dublin Zoo sent Sandra Molloy, Registrar/Research and Conservation Coordinator, to Sulawesi to meet the Selamatkan Yaki team and to witness the great work they do. Accompanying her were two people from Moondance, the production company for Dublin Zoo’s very popular programme, “The Zoo” to film the visit. Over the course of several days, the SY team demonstrated how they reach out to so many different groups from school children, to meat sellers in markets to government officials with the help of the ever-enthusiastic yaki ambassadors. An amazing day was spent in Tangkoko Nature Reserve where time was spent observing a gregarious troop of yaki, a resting bear cuscus, an awaking tarsier family and countless numbers of birds and spiders. The visit ended with a trip to Tasikoki Wildlife Rescue and Education Centre which helps many species of animals, including yaki, which have been rescued from the wildlife trade. In mid-May 2018 viewers in Ireland can view this amazing visit to Sulawesi on “The Zoo” television programme. This programme is also broadcast in many countries around the world including the U.K, Belgium, the Netherlands, Denmark and Thailand so keep your eyes peeled.